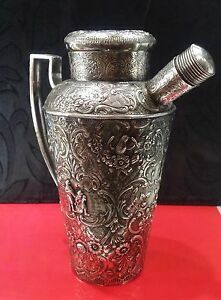 Details about Antique Cocktail Shaker Silver Repousse Overlay by Webster & son. in New York. No shipping on Saturdays and Sundays. Paypal from USA buyers to confirmed address only. We usually ship within 1 business day of receiving cleared payment.